Horn of Africa Services is a nonprofit that serves the East African immigrant and refugee community in Seattle. We serve individuals and families from Djibouti, Eritrea, Ethiopia, Sudan, Somalia, and neighboring countries that are living in the Greater Seattle area. Our services include social services, educational assistance, youth programs, and economic empowerment to address the needs of the community. Photos from the Horn of Africa Services After School Program, courtsey of Alexa Sinclair, volunteer. Horn of Africa Services has been assisting the East African population in Seattle for over 20 years. Learn more about the East African Immigrant and Refugee population and how our services are addressing their needs. 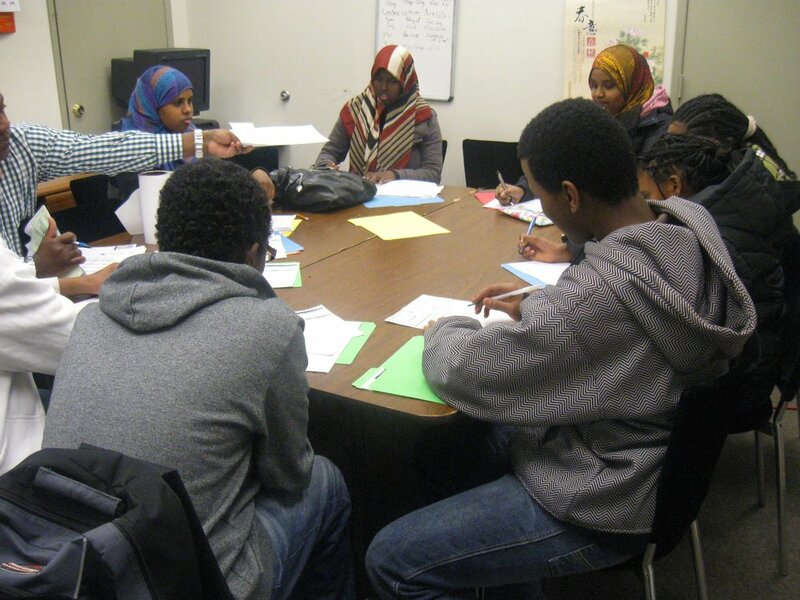 Our core programs at Horn of Africa Services include case management for individuals and families, youth programming for high school students, and after school tutoring for East African students. We are located in the Southeast Seattle neighborhood of Columbia City. Learn more about how to seek services or get involved with Horn of Africa Services.